As geometric as it gets. 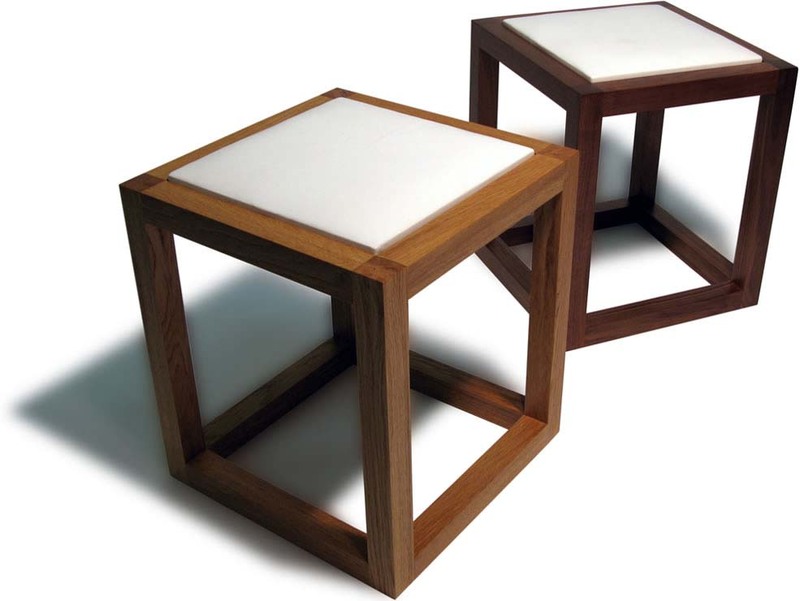 Durable 40mm x 40mm section solid wood frames. Solid oak/walnut and white leather cushion. Dimensions: 400mm long, 400mm wide, 450mm high.